Mrs. Odessa Delores Rogers Foster, age 75, of 453 Parnell Drive, Raleigh, departed this life on Saturday, January 12, 2019. Funeral, 1:30 PM, Wednesday, January 16, 2019, First Church of God, 1221 Boyer St., Raleigh. The Rev. Henry Caldwell, Pastor, Officiating. Entombment, Montlawn Memorial Park. Visitaion, 1 PM - 1:30 PM, prior to the service. In addition to her parents, Mrs. Foster was preceded in death by her sister, Dorothy Rogers Crews. Survivors; husband, Oliver D. Foster of the home; daughter, Karon Adams Hall (Derrick) of Raleigh; sons, Jacob Adams Jr. and Michael L. Adams both of Raleigh, Jeffrey K. Adams of NY and Ronald L. Adams (Latricia) of Atlanta; brother, Robert Rogers (Patricia) of Raleigh; 14 grandchildren, 6 great grandchildren and a host of other relatives and friends. 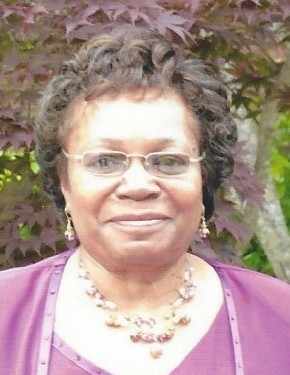 In lieu of flowers, please make donations in Mrs. Foster's memory to First Church of God.